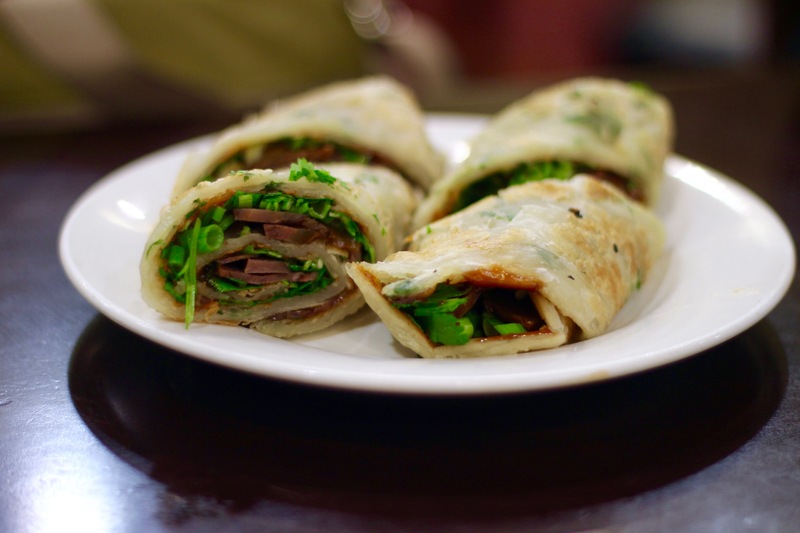 Thus, we began not with dumplings, but with the beef roll. The beef roll is that traditional LA Chinese food dish consisting of beef wrapped in a scallion pancake and stuffed with cilantro and a hoisin-esque sauce. While this is a difficult thing to mess up (and trust me, Long Xing Ji didn’t mess theirs up), it is tough to make one that stands out. Unfortunately, Long Xing Ji came up short compared to 101 Noodle Express and Shanghai Dumpling House, but we were here for the dumplings anyway. 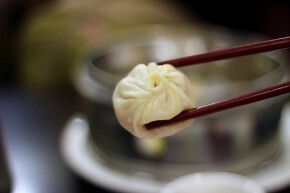 Then we moved on to the xiaolongbao. We went with the pork version (aka Juicy Pork Dumplings and not the sweet version), which came out looking all kinds of pretty. They failed to give us the traditional spoons, so we set to work slurping away at our plates. It probably didn’t look good for our people, but it worked. The dumplings tasted great, but having eaten Din Tai Fung earlier in the week, I have to admit that these weren’t as good. 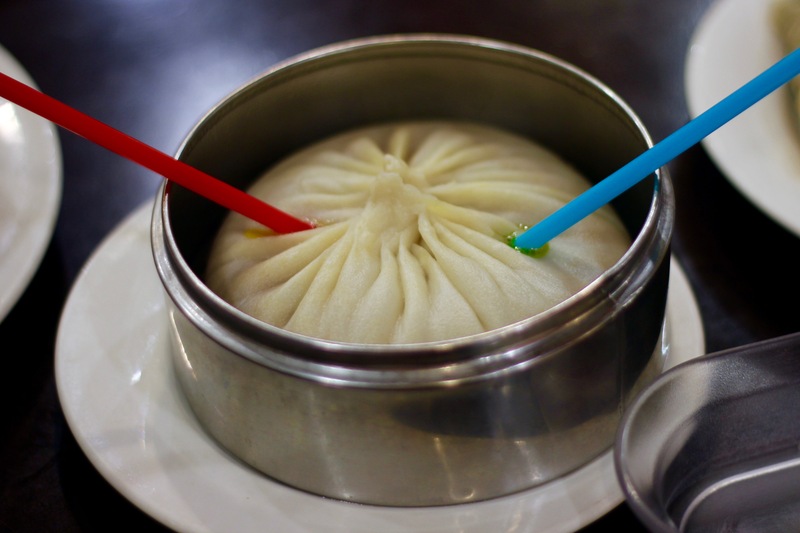 Now before you go calling me a naysayer on the whole Long Xing Ji, I have to cover the Juicy Pork and Crab Bun. This guy is a giant bun stuffed with, well, juicy pork and crab. I guess the name is pretty self-explanatory. But what it doesn’t tell you is that this bun is for drinking with a straw. That’s right, you stuff a bubble tea straw into the bun and go to work (just don’t poke through the bottom). The result is a bun unlike any other I’d ever had and a big winner. I should also note that Long Xing Ji features by far the best bang for your buck in dumplings. Others might taste a little better, but it will cost you. 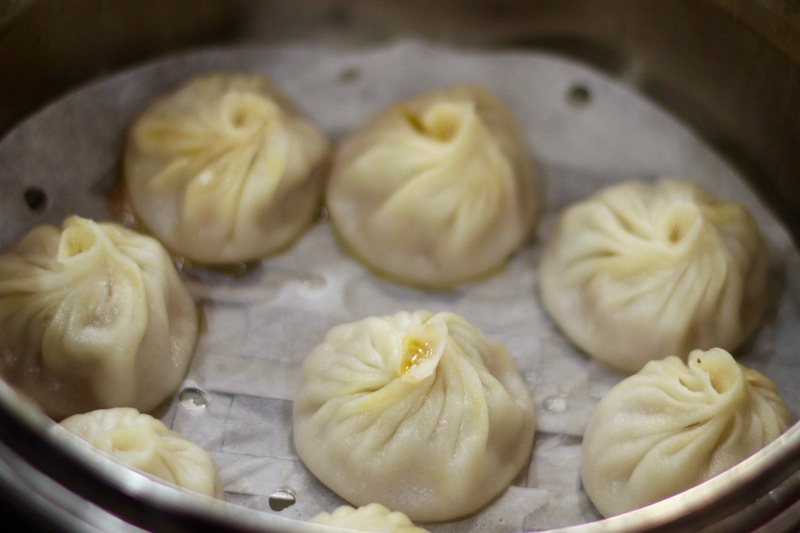 Plus, if you haven’t had any xialongbao in a while you definitely won’t leave with any complaints.